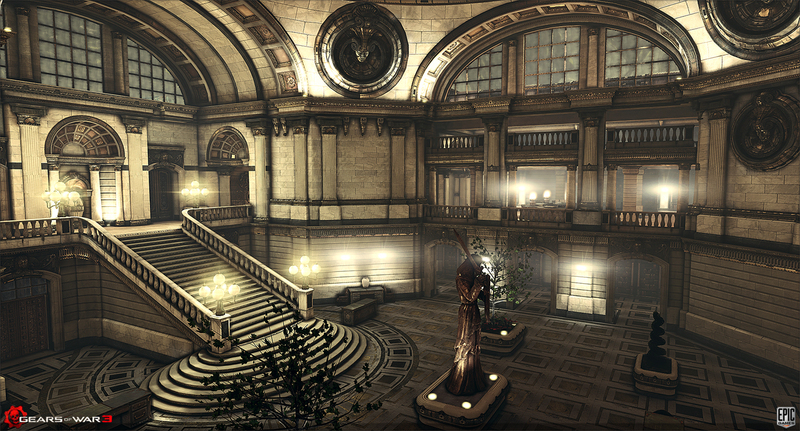 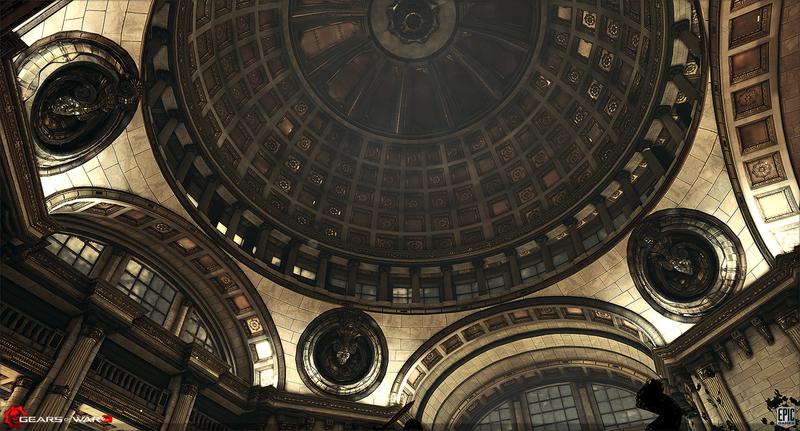 I	was	responsible to model the City Hall set for Gears of War 3 : Raam's Shadow. 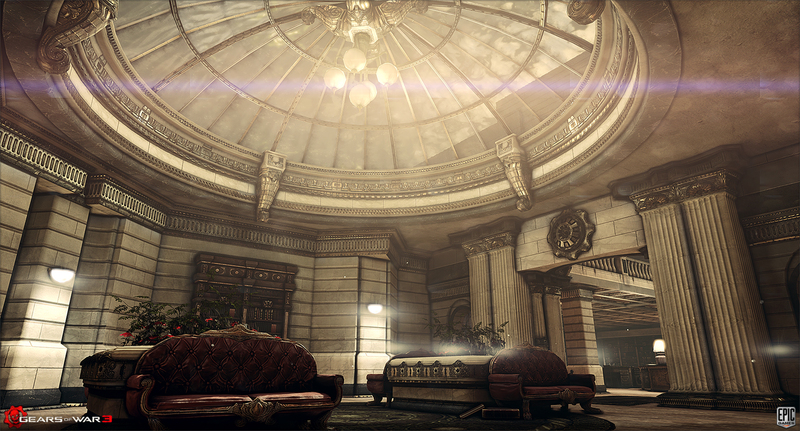 The set needed to be efficient and versatile as these pieces would be echoed across a number of different levels. 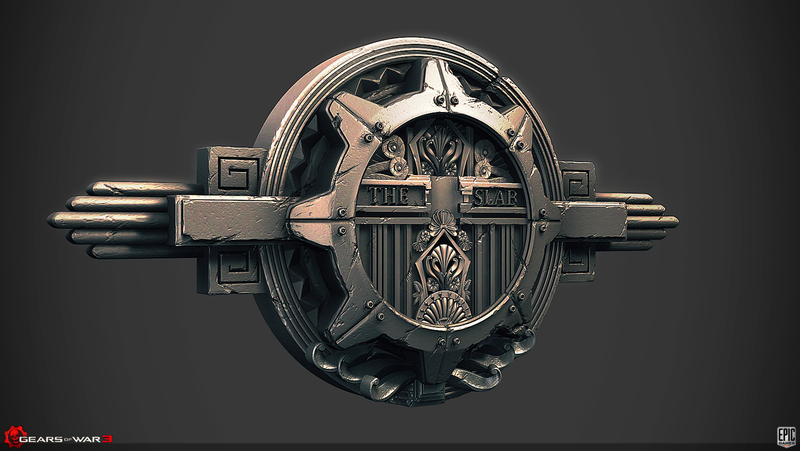 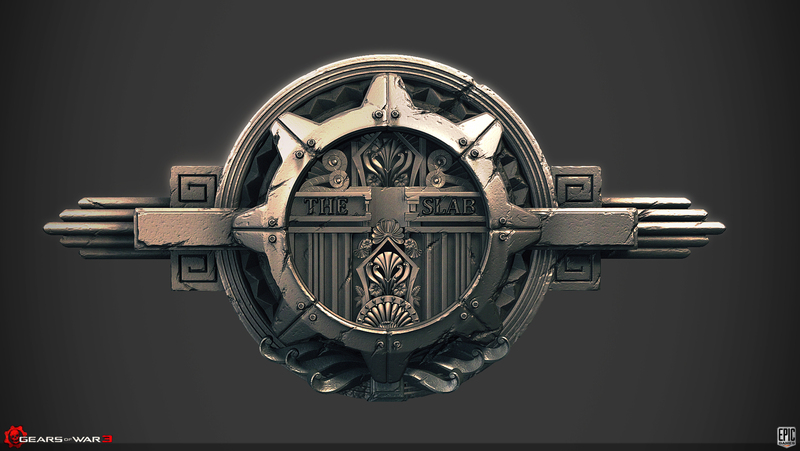 To achieve this I worked in an extremely modular fashion creating High Poly models which were made in a way to maintain high texture resolution using as few textures as possible. 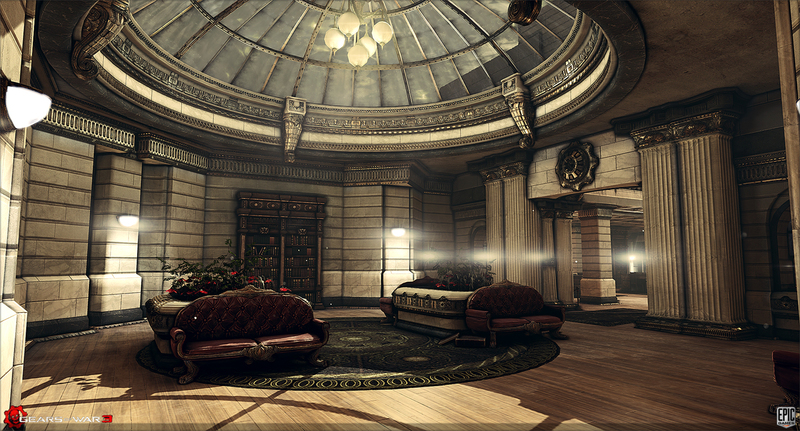 A few of the High Poly models are shown here along with the level this set was created for. 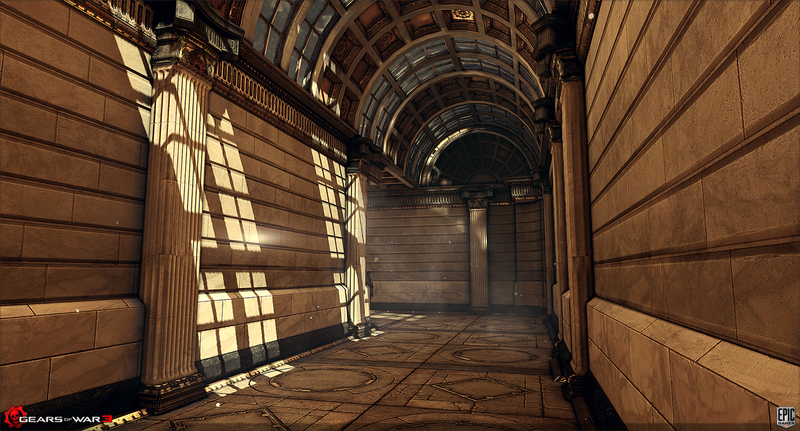 In the shots below everything was created by myself (including floors, walls, cielings, windows, etc. 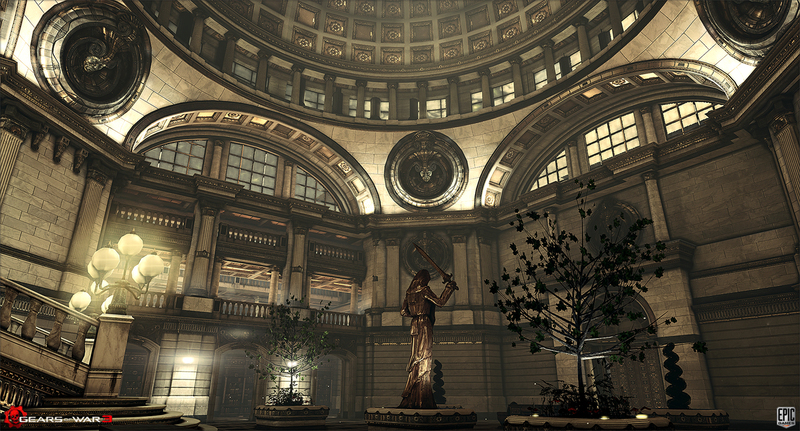 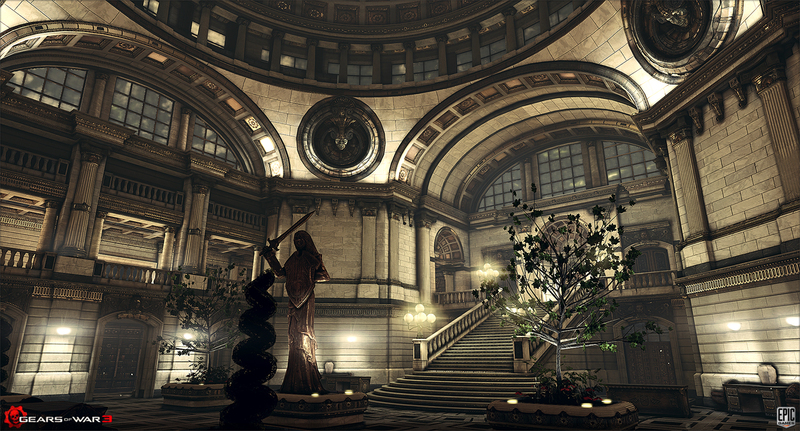 apart from the Statue, Foliage and Couch meshes. 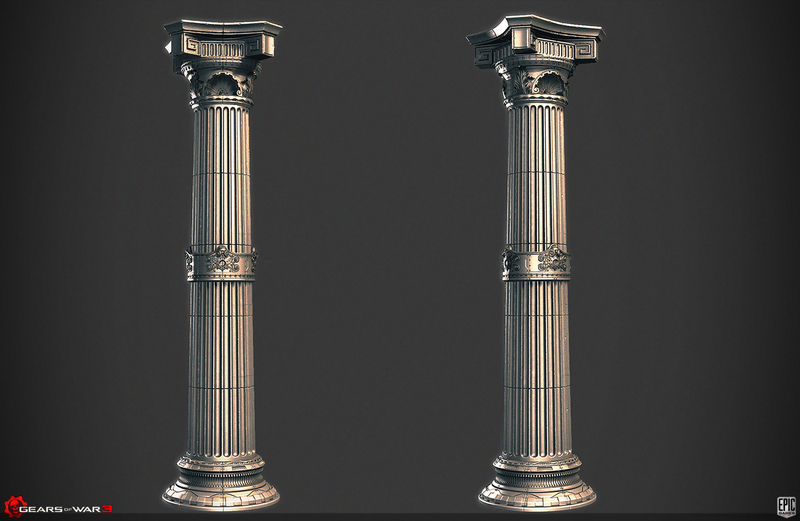 The pieces were textured by Maury Mountain. 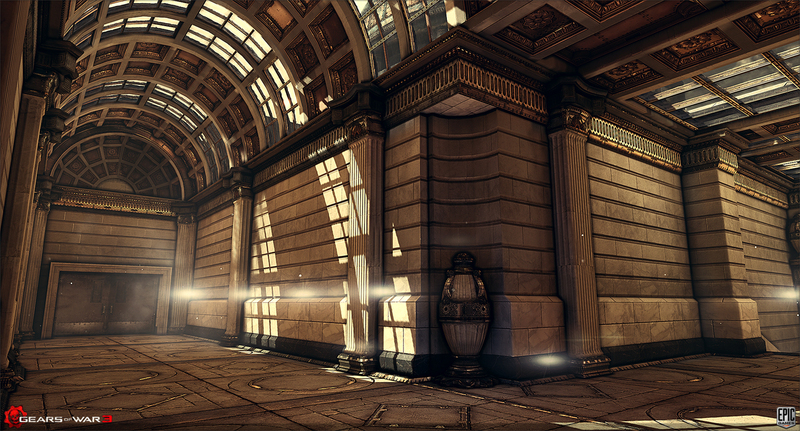 I also worked closely with Warren Marshall (who did the placement and lighting of the scene) meshing areas.